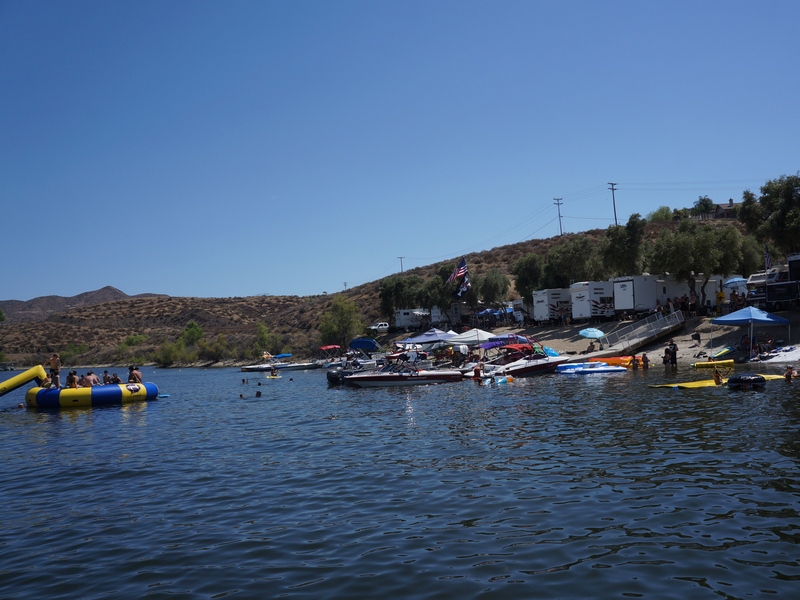 Canyon Lake is a private, gate guarded community nestled between Menifee on the East and Lake Elsinore to the West, between the I-15 and I-215 freeways. Being centrally located between Los Angeles, Palm Springs and San Diego offers many choices for employment or leisure activities if you choose to go outside the community. The beautiful Temecula Wine Country is a close 20 minute drive away. The community is built around a 383 Acre Lake with 14.9 miles of shoreline that is used for waterskiing, wakeboarding, fishing, swimming, boating and more. The Country Club is located on an 18 hole, regulation golf course with driving range and putting green. It's the favorite meeting place for the many golfers in the community and their guests. Breakfast and lunch are served daily. The Lodge serves as a gathering place to enjoy a gourmet meal or a drink in the lounge. It also serves as a meeting spot for the many clubs in the community as well as the Property Owners Association Board of Directors meetings. Numerous Parks and Beaches are dotted throughout the community, many with day docks to which you can secure your boat while you are picnicking or barbequing in the park. Your guests who come to visit in their RV can take advantage of the Waterfront Campground complete with full hook-ups. In fact, many who live here stay in the campground for the annual 4th of July fireworks show. The lighted Tennis Courts are well used and are popular with adults and children alike. If you prefer a dip in a pool or water aerobics, a large community pool with separate children's pool is available. Fishing is plentiful in the lake which is regularly stocked with bass, catfish, crappie and bluegill. Since catch and release are encouraged, some of the fish have gotten huge. The Equestrian Center is especially loved by the children. Just outside the gates are many miles of riding trails in the undeveloped hills. There are many activities for adults and children including lessons and riding camps. Boarding is available in the barn, pipe stalls or pasture. The Canyon Lake Towne Center offers a wide selection of retail stores and restaurants. The Canyon Lake Market offers a wide selection of gourmet meats and a wonderful delicatessen along with all the daily necessities. Several restaurants are also located in the center along with almost everything else you would need. Since this is a private, guarded community, please call (800) 962-2367 for an appointment with one of expert agents who will be happy to show you the community. Canyon Lake is a private, gate guarded community nestled between Menifee on the East and Lake Elsinore to the West, between the I-15 and I-215 freeways. Updated: 21st April, 2019 12:50 AM. © 2017 BHH Affiliates, LLC. An independently owned and operated franchisee of BHH Affiliates, LLC. Berkshire Hathaway HomeServices and the Berkshire Hathaway HomeServices symbol are registered marks of HomeServices of America, Inc.® Equal Housing Opportunity.